The national flag of Liberia consists of 11 equal horizontal stripes of red (top and bottom) alternating with white with a white five-pointed star appears on a blue square in the upper hoist-side corner. 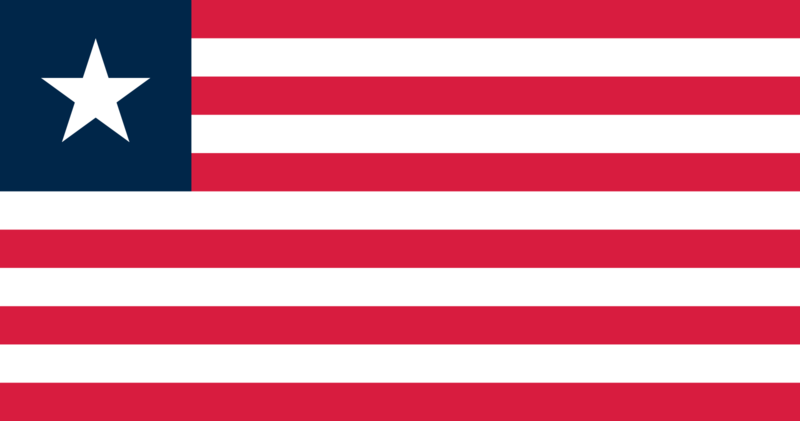 The Liberian flag bears a close resemblance to the flag of the United States, showing the freed American and ex-Caribbean slaves offspring and bloodline origins of the country. The Liberian flag has similar red and white stripes, as well as a blue square with a white star in the canton. It was adopted on July 26, 1847.